Air Jordans and police apparently don’t mix. 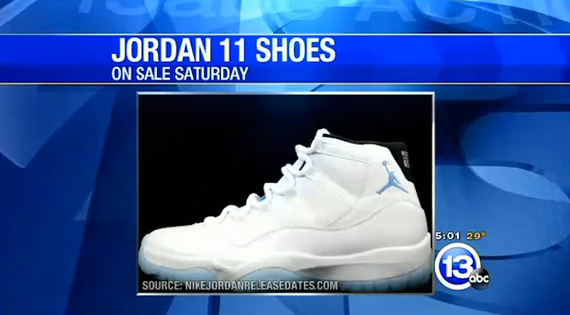 The latest police incident involves crowds (reaching into numbers in the hundreds) and Air Jordan’s, Retro 11 “Legend Blues” to be exact. A line at the Franklin Park Mall Finishline in Toledo, Ohio got out of hand and the resulting scuffle led to a majority of the line getting pepper sprayed by the local police. The line was for tickets to buy the “Legend Blue” 11’s, something on the list for many this holiday season. 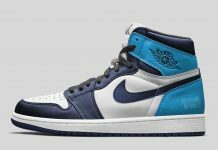 Check the video below for details and be sure to stay safe at your next sneaker line. 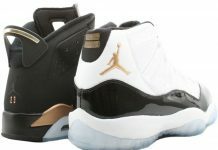 Dozens lined up at the JCPenney entrance for a chance to get a ticket to buy $200 “Jordan 11″ sneakers. 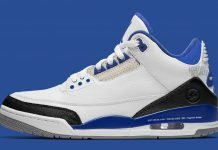 Those tickets would allow shoppers to return to Finish Line this Saturday so they could buy the limited-edition shoes. Those in the crowd tell 13abc: 300-400 people lined up overnight, but the store had 100-150 tickets. Around 6 a.m., according to shoppers, those with Finish Line announced a delay in the opening of the store, prompting outcries from the crowd. Some in the group then allegedly became belligerent, prompting officers to fire pepper spray. An hour later, shoppers rushed back to their positions in line outside of the mall as the store began to allow them inside in small groups to retrieve their tickets.